With a new year, comes new goals here on the blog. I wanted to share with you what I am looking to achieve with both my blog and beauty in general this coming year, because once I write down and organize my goals I'm much more likely to stick to them. Whether you are also a blogger, or you are a beauty junkie like me, I hope you find some inspiration here and even offer me some of your thoughts as well. 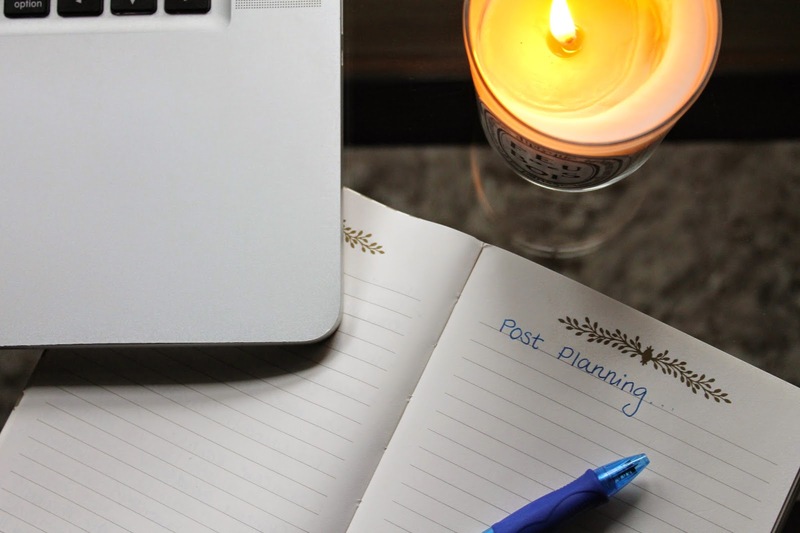 Blog Planning and Scheduling // As I get older it seems my schedule gets more and more jam packed with working full time, my personal life, blogging, and what little is left gets dedicated to some down time. I think that planning out what I want to post about is the best way to keep things on schedule and I haven't exactly done the best job with that these past few months. Getting a new journal always helps keep me motivated to write down my ideas and from now on I am going to be keeping my thoughts and ideas somewhere other than just my head. Simplifying My Skincare Routine // Because nobody needs 8 serums, 15 moisturizers, and 5 face washes at once. I love skincare and over this past year have really learned what works for me thanks to all the testing I did, so I think it's safe to say that I finally know which products I need in my routine and which ones I don't. I am going to try to use up what I currently have and then only repurchase the ones I truly find myself reaching for everyday and that make my skin its happiest. I really think I can edit down my essentials to a reasonable amount of products and that's what I am going to try to do. Wearing Bold Lip Colors // Like I mentioned in my last post I tend to gravitate toward more neutral shades when it comes to everyday wear, so the brights and bolds of my collection have seen little use recently. It's not a huge goal or anything but I would like to try and incorporate some of my favorites into my makeup looks more often. Any tips? I've made it my resolution to shop my own stash before buying tons of products that are good but I don't need to have. That'll probably save me a lot of money as well! When I want to wear a bold lip during day time, and I'm not feeling like an"in your face" colour, I like to dab in the lipstick so you still get a little pop of colour!